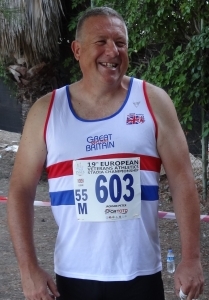 Pete joined the club as an M40 athlete in 2002 along with his daughter Hannah. A natural thrower, he was quickly drafted into the Men’s Midland League team to fill an area that the team had been weak for many years. From this point on, he became a habitual member of the team for the next 10 years, before moving away from regular competition. A shot put specialist, he regularly threw in the 10 – 11m range, and in 2006 threw his lifetime best of 10.90m as a M45, a club record at the time. He was also proficient in the long throws, and was a regular Hammer and Discus thrower, as well as dabbled with the Javelin in the early years. He holds 2 club records in the M50 and M55 Hammer throw. 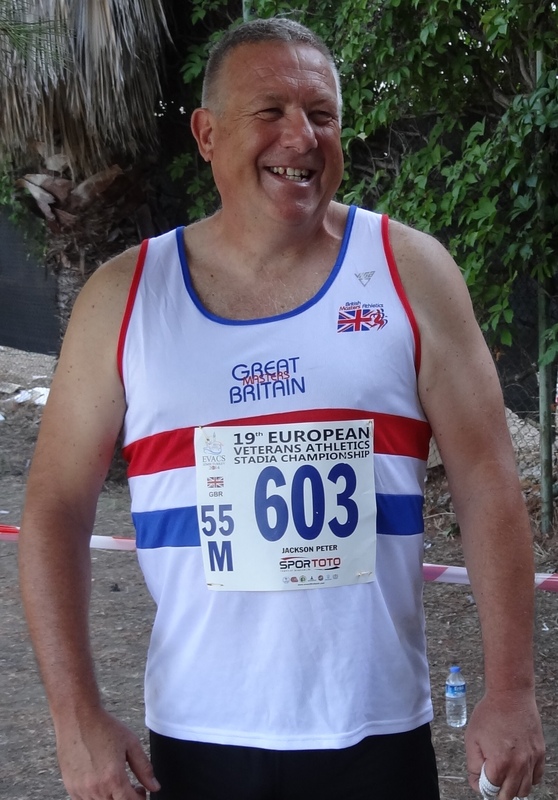 Although giving up regular training and competition in 2012, he has made sporadic returns to competition in Masters specific events, and competed in the South West Masters Championships, the BMAF Champs, and two European Championships, in Turkey as a M50 in 2014 (12th) and Denmark as an M55 in 2017 (15th). He has won the Men’s Masters Award 4 times, in 2002, 2003, 2004 and 2009. Pete is also a qualified official, and regularly helps officiate for both Yate and B&W in open meetings and league competition. He also spent six years as the Male Avon Track & Field Team Manager (2003-2008).